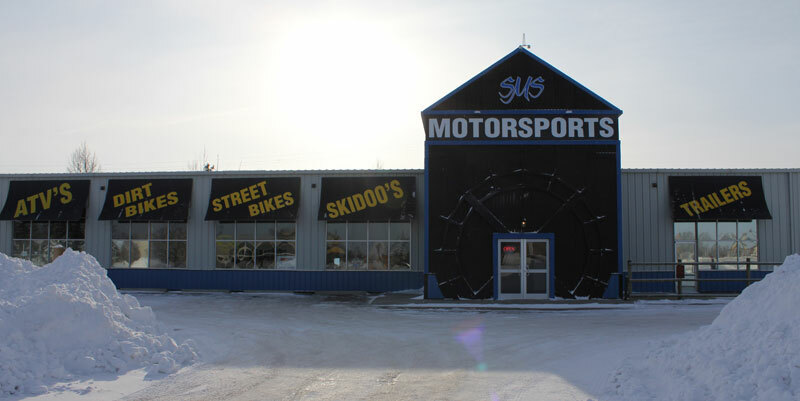 Specializing in high quality pre-owned motorsports including quads, dirt bikes, side by sides, street bikes, snow machines and trailers; Strathmore MotorSports is a family owned business built for fun. 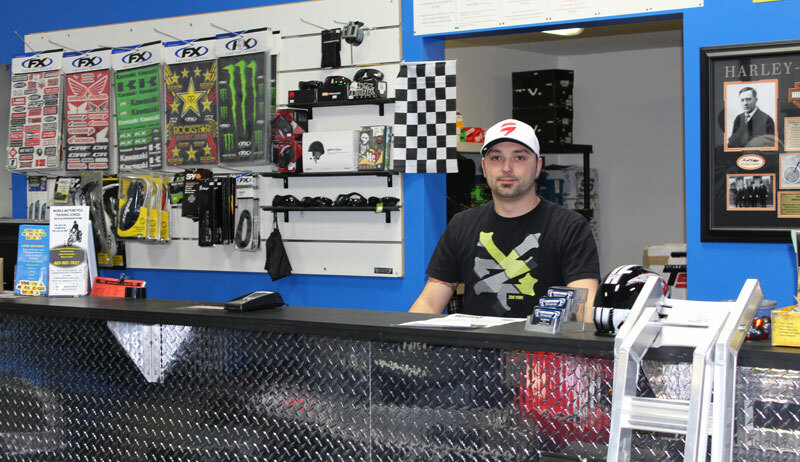 Cory Nordick, a Chestermere resident and his father Randy are the owners of the rapidly growing business and have enjoyed a passion for motorsports their entire lives. The business began in 2008 in a small facility within Strathmore but they quickly outgrew that location, recently relocating into their new facility which includes a 5,500 sq. ft. building with an impressive showroom and shop as well as a 10,000 sq. ft. yard. The increase in size of the new location has allowed the business owners to offer more suppliers and manufacturers to their customers in a more efficient manner. 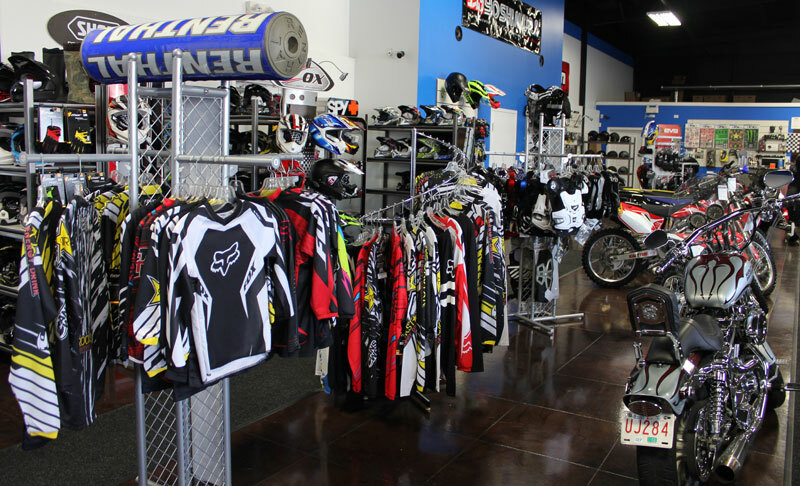 Offering only premium quality used machines, including metric bikes and Harley’s, Strathmore MotorSports is able to provide their customers with products that look, feel and act like new but do not come with the brand new price tag. They stock their floor with overstocked machines from authorized name brand dealers in Canada and the United States. All the machines that they bring in are thoroughly checked out with a 30 point mechanic inspection and all have very low mileage. With a full service mechanic bay and licensed journeyman mechanic, Strathmore MotorSports caters to all motor sports and can assist with anything from an oil change to detailing to motor rebuilds. For their customer’s convenience, they will even provide drop off and pick up service within Strathmore and Chestermere. 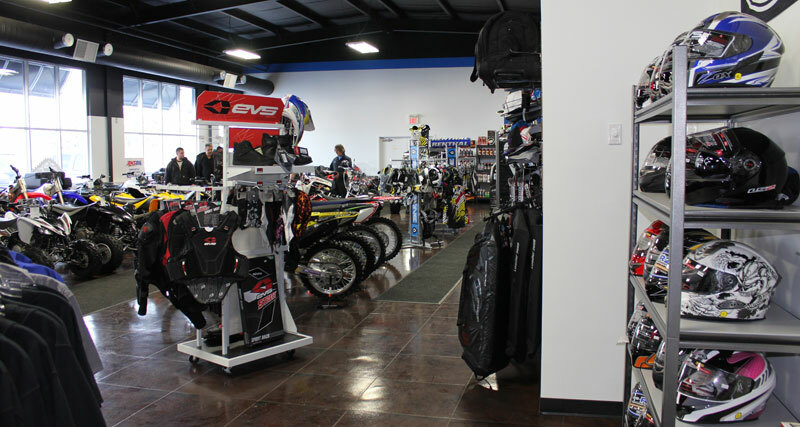 In the showroom, besides dozens of like new machines, you will find name brand apparel, helmets, body armour, gloves, gun racks, ramps and everything else you are looking for to get you out having fun in the outdoors. Whether this is a new hobby or you have been into it for years, the knowledgeable staff at Strathmore MotorSports are looking forward to meeting you and discussing how they can help you. 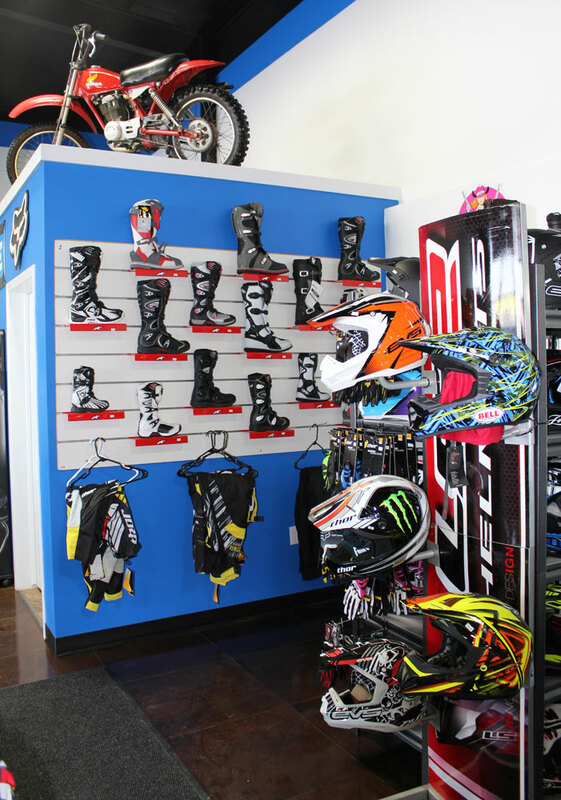 They also offer a fully stocked parts counter so can provide any parts or accessories. With a very customer focused attitude, the staff at Strathmore MotorSports strive to ensure their customers have a satisfying experience every time they visit. “The customer is our main concern and we want to ensure they walk away happy,” says Nordick. All of the staff are extremely knowledgeable in all types of motor sports because this is their passion and they live and breathe it. The growing business deals with the largest supplier of used motor sports in the world that has an inventory of over 5000 units per month. They are happy to work with customers’ requests and will find a machine that suits them. Their three major suppliers will ship to them the same day or within 24 hours if not stocked in Calgary. Strathmore MotorSports can also offer financing at competitive rates so there’s no reason you can’t have the toy you’ve always dreamed of. And you can feel good buying from this local business knowing that they a proud community members that like to give back by supporting local community initiatives through donations, including silent auction items for charity fundraisers. As an active community member, Nordick is also working on bringing a local dirt bike track for residents and motor sports enthusiasts can enjoy. 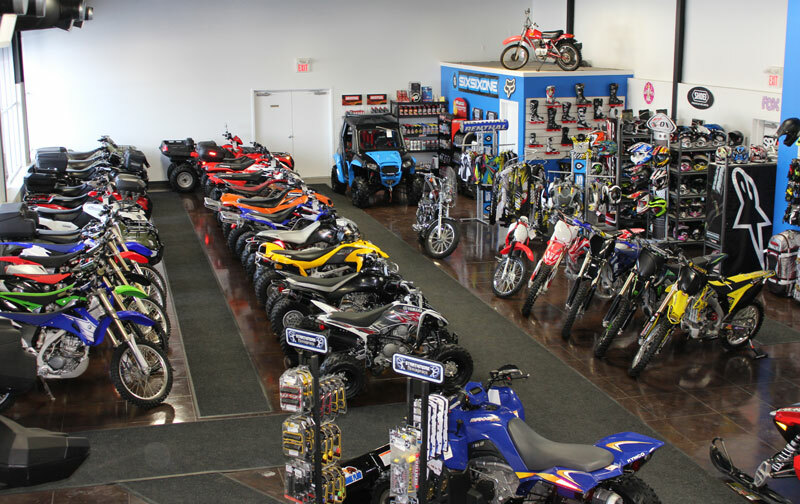 The use of off-road recreational vehicles such as ATVs for fun and recreation has increased dramatically over the years and at Strathmore MotorSports, the safety of their customers is paramount. They take the time to go over the machine with you to fully explain all the controls and functions before you leave. They also have partnerships and promote on road safety courses with local safety instructors to help you understand how to operate your new toy. Strathmore MotorSports is excited to be working on the addition of an OEM dealership to their business. This would allow them to offer additional benefits including further discounting. 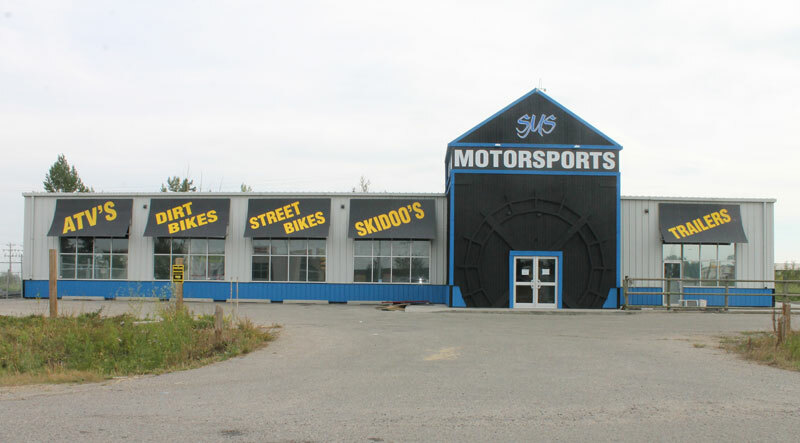 Strathmore MotorSports is located at 507 Westpine Road in Strathmore, right off of Highway 1. They are open Tuesday to Saturday, closed Sunday and Monday. You can call them at 403-901-6310 or visit their website at www.strathmoremotorsports.com.